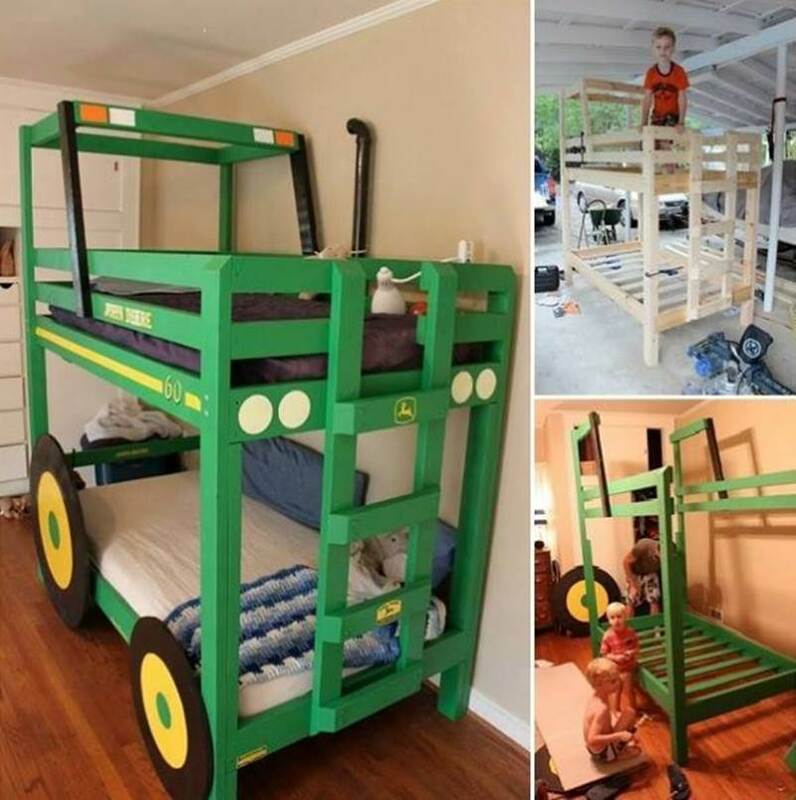 Are you looking for creative space-saving solutions for your kid’s bedroom? 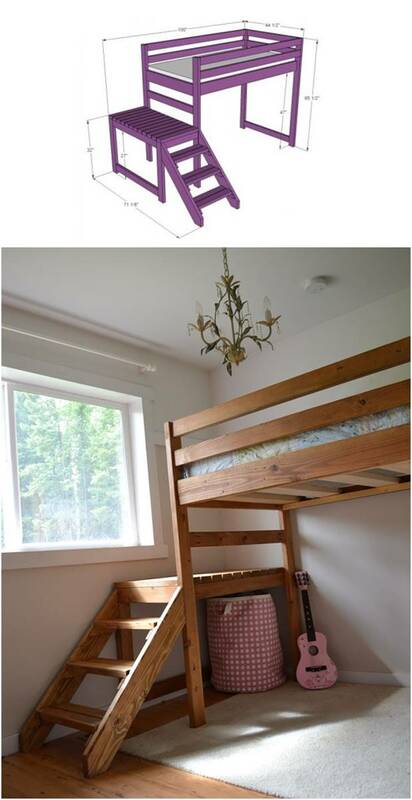 A bunk bed or a loft bed is a great option. Not only does it look attractive in the room, it also offer a comfortable rest area and lots of play or work space for your kids. Buying a bunk bed or a loft bed can be very expensive, ranging from several hundreds to several thousands. 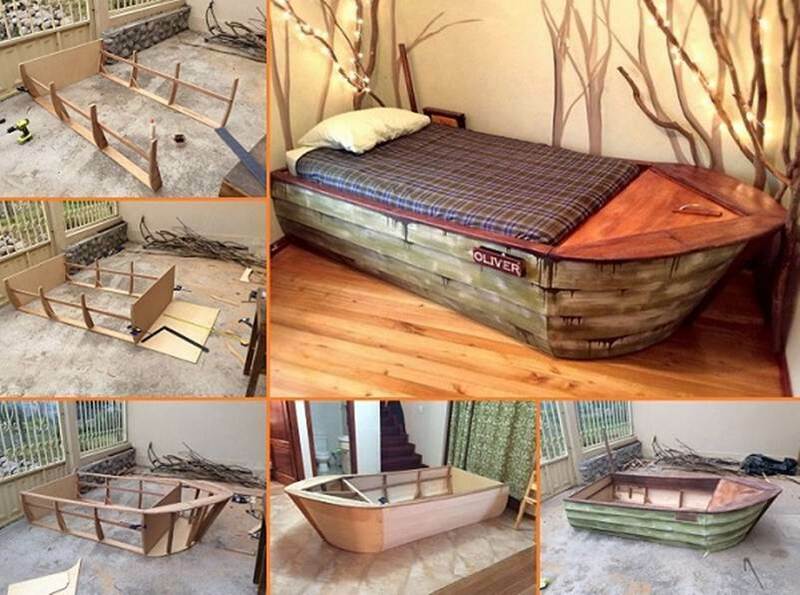 But thanks to the creative minds and skillful hands of the DIY enthusiasts, there are many free plans out there for you to build your own beds. 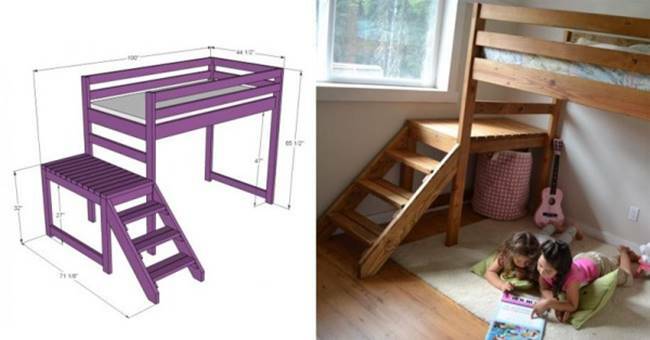 We are excited to feature this awesome DIY project from Ana White to build a camp loft bed with stairs. It is not very difficult to build and doesn’t require complicated carpentry skills. With this detailed plan, you’ll be able to build this nice and comfortable loft bed and transform an ordinary bedroom into an area with lots of fun and excitement. The followings are other cool bed designs for kids. Enjoy!